The idea for this blog post was suggested to me quite a while back but it can be a tough one to tackle, simply due to the seemingly never ending factors that can contribute to someone being hurt or injured so I have let it sit in my mind a while before deciding on how to set something like this up. After giving a quick rundown on each of those, in future blog posts go through some of the most common areas people get injuries in the upper and lower body and what’s probably the best way to go about training around it so you can keep hitting the gym. But first, there’s two things I really want to preface every single statement I make within this blog series. – They sacrifice good technique for more weight on the bar. You’re asking for an injury here. More weight + poor technique is a recipe for disaster. Yes this included you guys who load the bar up for squats and then do quarter squats and wonder why your knees hurt. Or the dudes who load up the bar for shoulder press and then only bring it down to their eye level. Or the dudes bench press and don’t touch their chest. Or the dudes who bicep curl seemingly exclusively with a hard hip extension and trap shrug. The list could go on. – They never actually learned good technique from a qualified strength coach but perform complex lifts with lots of weight. For example, the bench press, squat and dead lift are more complex than they look. – They injure themselves on a certain lift, and then never stop doing that lift and wonder why they aren’t healing. For example, if you hurt your shoulder for whatever reason on the bench press and then keep continuing to bench press every week, don’t complain about your shoulder. Lots of times here these little issues only take about a week or so to heal. I promise you, not bench pressing for one week isn’t going to kill you, even if it’s Monday. – They test their 1RM too often. Your job is to build strength in the gym, not demonstrate it. Guys who test their 1RM every month create a lot of unnecessary fatigue for no further gain, plus put themselves at risk for injury. – They over train certain body parts and under train others, creating a structural imbalance within the body which opens you up for injury problems. #2: The second note I want to preface with is the fact that getting injured is not an excuse to stay at home and do nothing. There are very few injuries out there that completely debilitate you from doing any work whatsoever in the gym. Hurt your lower body? That’s ok, let’s do some upper body work. Hurt your upper body? That’s ok, let’s do some lower body work. Hurt anywhere else? That’s ok, let’s do some upper body work, lower body work or some conditioning. It’s very rare where you’re totally out of commission, unless you’re just being lazy. I’ve been in the gym over 10 years now and I’ve been banged up too. Couple of occasions where I’ve needed multiple stitches for whatever reason, I’ve fractured my left wrist, I’ve either dislocated or broken two ribs (not sure because I never officially got it diagnosed, but they stick out still), I’ve had a concussion, I’ve separated my left shoulder and a colleague of mine who works with a lot of rehab is quite certain I have some partial ligament tears in my left knee. This is all the stuff that just isn’t the normal aches/strains that come with lifting, the standard wear and tear stuff that’s always kickin’ around if you’re training hard. Not once have I ever been out of the gym completely. Never once in any of those scenarios. I always went to the gym and found out what I could do. It never even crossed my mind to write it all off and come back when I felt pain-free again. Am I trying to be a tough guy? No, definitely not. I’m not a tough guy. If I was a tough guy I’d be in MMA, but that’s not me and that’s not what I do. I lift weights. What I am trying to get across to you though is that I’m not some dude behind a desk who reads sports science training textbooks and only talks the talk instead of walks the walk. That is a decent list of injuries life has thrown at me but I always focused on what I could do, instead of what I couldn’t do. Every time I went to the gym with an injury I always performed what I could do pain-free. The old saying “train through the pain” does not apply to injuries. That will only prolong your healing process. Focus on what you can do pain-free and stay there. 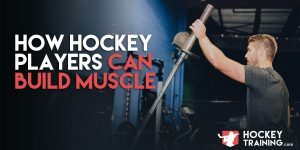 Now having said those two things let’s move on to the most well-known, general injury recovery strategies and give a short run down on the relevance they have towards hockey athletes. NSAIDs are super popular among athletes and even the general population. People generally just take them to alleviate pain and then don’t think much of it after that. It’s also a popular recommendation among doctors as well because lots of times an injury just simply needs some time to heal so the doc will hit ya with some NSAIDs and send you on your way, largely betting on the fact that it’s going to heal during the process and he’ll never see you again. NSAIDs function as pain killers and anti-inflammatories (these are different effects). Pain is largely a function associated with the nervous system and not of the actual healing process, whereas inflammation is an incredibly important component of proper healing. The reality is that NSAIDs are not very effective at speeding up recovery from musculoskeletal injuries and there are even some studies that have shown they delay the process. Not exactly what we are looking for here. The delaying aspect makes sense though, inflammation is an important component of proper immune function and your body’s healing process is impaired when you try too hard to dampen this response. The body doesn’t get inflamed for not reason, it’s doing that for a purpose and that purpose is because it is the front line of the healing process. NSAIDs only appear to be affective in certain scenarios such as during the acute stage of an injury or during very severe inflammation to where the injury is so inflamed it’s actually aggravating itself. When swelling and inflammation are severe enough to damage surrounding tissue, this warrants intelligent use of NSAIDs. If we can temporarily suppress this inflammation, we can limit the damage being done. Fact of the matter is though that this is only in severe cases and most people just pop NSAIDs when anything at all happens. Another downside of NSAIDs is there direct damage to your stomach. Which is why I like to recommend that if you use them at all, a topical cream is probably your better option. Beyond this stuff, acetaminophen is widely available and acts similarly as a pain killer but is overall a better option for hockey players due to the fact that it is not an anti-inflammatory. Wraps are designed to provide a pretty strong form of support and allow your joint of artificial stability during exercise so that you can exert more force. This can allow you to lift some heavier weights in the gym, which can be good if you’re pain-free, but dumb if you’re not. For example, adding wraps to a healthy powerlifter will typically add around 40lbs of extra weight on his squat. Downsides here though are that wraps typically disrupt your natural movement mechanics plus due to the tightness can create some occlusion during exercise. For these reasons, I don’t like to recommend them for your injury recovery process. Sleeves are actually a much better option than wraps because they don’t effect movement mechanics as much but they also provide a type of heat treatment as well. Sleeves increase the temperature of the body part you put them on which can allow for more pain-free movement plus increased nutrient delivery in and out of the injured cells. All in all, sleeves are better than wraps but they are still nothing to go crazy about. Don’t buy an expensive one, it won’t be worth it, but buying a cheap one will be worth it. Tape has worked in some cases although most of the benefit is purely psychological in my opinion. If you want to use it, go ahead, but I don’t generally recommend it just because I don’t believe it to be all that worth it. If you do use tape (it’s crazy cheap so you can give it a whirl) I’d recommend checking out some YouTube tutorials on how to apply it as it’s crucial that you do this correctly. Braces are a much more serious approach and one that if you’re doctor recommends it, he means business. Braces are rigid enough to completely immobilize a joint, much tougher then wraps or sleeves. They separate themselves from wraps though in the sense that they do not restrict blood flow, which gives them an extra bonus point. Due to the toughness of braces, they are pretty much reserved for more serious sprains (as opposed to strains that is). Something that braces also do that no one really thinks about is help you keep your joint in a safe position while you sleep, something that none of the above other tools will do. I like braces for the recovery of the more serious stuff. But at the same time, you have to take the brace off and move around as pain free range of motion kicks back in again. Don’t just let it sit there stiff as a board all the time. Getting it moving again (pain-free) is going to accelerate the recovery process faster and more effectively than anything else. Let’s start out with ice. Why do people use ice? To slow down inflammation and reduce blood flow. Just like with NSAIDs, you’re going to hit a point of diminishing returns here and play more into sabotaging your own recovery then you are supporting it. I have talked before about how ice can be detrimental towards your progress in strength and muscle mass (but there’s a time and place for ice too) so check out my other blogs/videos on recovery if you’re interested in that because I want to stay on topic within this blog post on injuries. What I’m saying here for ice in respect to injury is only use it if you absolutely have to. If the injury is wildly swelling and inflamed, use it temporarily. If it’s not, don’t use it. Heat on the other hand speeds up blood flow (so does massage treatment and contrast showers) which is accomplishing the exact opposite of ice. You can actually compare heat treatment to active recovery in a way (moving around to get the blood flow moving) due to its ability to locally enhance circulation. 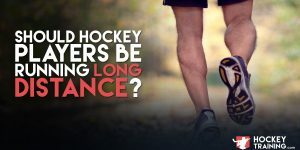 I’ve done two comprehensive blog posts on stretching for hockey performance now so to get caught up, I recommend checking out this one and this one. From an injury recovery perspective though, stretching is useless. There is even much debate about stretching injury prevention ability, many experts posing it does more harm than good in the prevention department as well. It’s something athletes have done for a long time but science is really starting to shape up how unnecessary it is. For example, within injury prevention, simply being strong is light years more important than your current flexibility. Getting back to injury recovery. I typically just don’t mention it to athletes. If they want to stretch, they can. If not, I don’t care. It’s neither good nor bad here. Although it’s worth mentioning that stretching can actually reduce oxygen and blood flow to your muscles, which would therefore negatively affect your recovery process. If you want to spend more time moving during your injury process, actually move, don’t stretch. We will discuss the importance of active recovery within the future blog posts plus throw in tips and tricks for training around the most common injuries.